Thanks to a long foldable wand with a flexible hose, you can adjust an optimal brush recline and access hard-to-reach areas (such as under and behind the furniture) without a hassle. The model is pretty heavy. 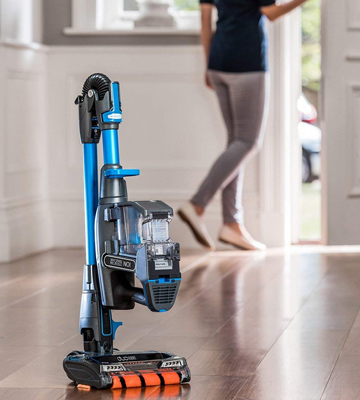 Fitted with a unique brush consisting of two rolls, the Shark cordless vacuum boasts twice more efficient cleaning performance, meanwhile greatly reducing cleaning time. It will become a perfect household assistant for those who want to keep their house clean yet do not have much time for cleaning. 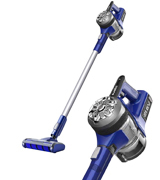 Packed with the Vax Direct Helix Technology, the vac provides maximum performance for cleaning any surface. And due to the Boost mode, you can instantly increase the power for removing stubborn dirt. The handheld's power button is easy to touch accidentally. 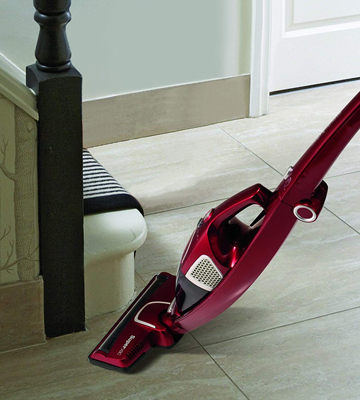 It's a quite versatile stick vacuum cleaner that can quickly turn into a handheld model for comfortable cleaning of stairs, upholstery, car interior, and so on. 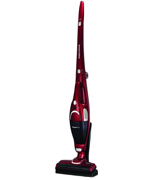 The vacuum cleaner has a lightweight and well-balanced design and boasts excellent manoeuvrability on any surface. You can activate the Continuous power mode with a single push of a button. The vacuum will run non-stop until the trigger is pressed again. This will prevent your fingers from tiring and aching. 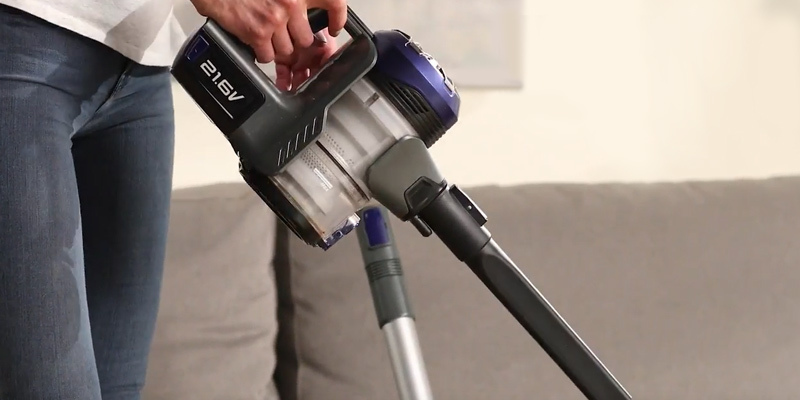 The Hoover FD22L is light on your budget and light in your hands. At 2.2 kg only, it's extremely convenient to carry from room to room, from floor to floor. If needed, it can be used as a handheld vacuum. Other than that, it has no extra frills. It just does its main job decently. This cordless sweeper has a very ergonomic design. Thanks to an onboard storage for additional attachments and a collapsible handle, it takes very little storage space. The filter should be washed rather frequently. The Morphy Richards 732005 2-in-1 cordless vacuum boasts high performance, compactness, and manoeuvrability. After just a few minutes of its operation, your floors, carpets, and upholstered furniture will be ultimately clean. The vac is Energy Class A rated, meaning it's a very energy-efficient appliance. The removable washable anti-allergenic filter will catch even the finest particles of dust, pollen, and pet hair. 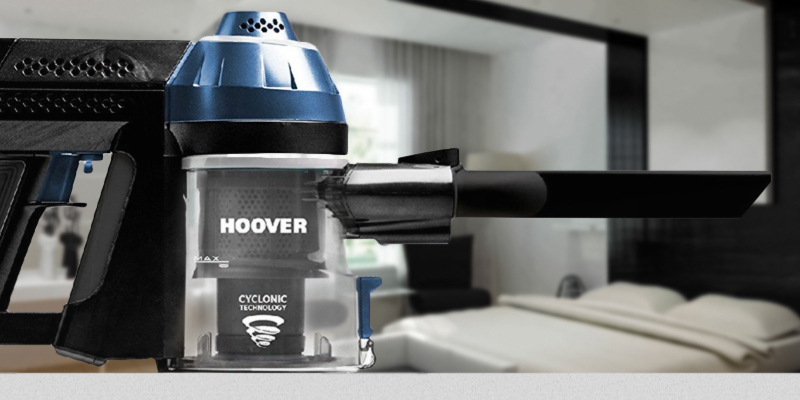 So, this vac will make the air in your house much cleaner. The handle might seem a bit uncomfortable to use. 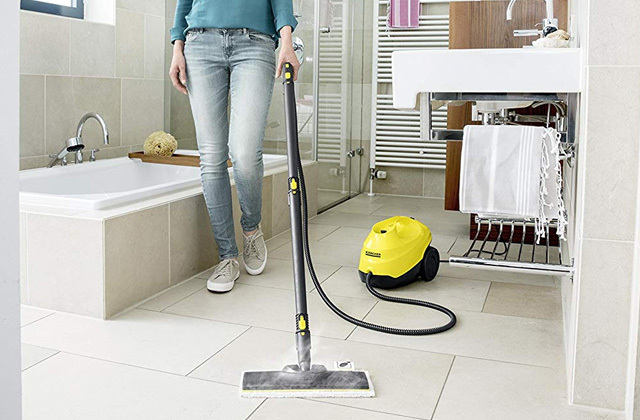 The Eureka NEC122A 2-in-1 stick vacuum cleaner is an extremely easy-to-use appliance. 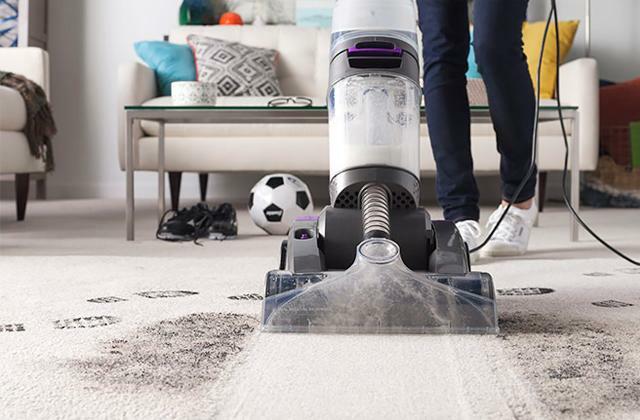 It comes packed with a plush brush nozzle, a crevice tool, and 2-in-1 upholstery tool to pick up the tiniest particles from your hard floors, carpets, and upholstery. And the detachable wand will help you reach ceilings and drapes. 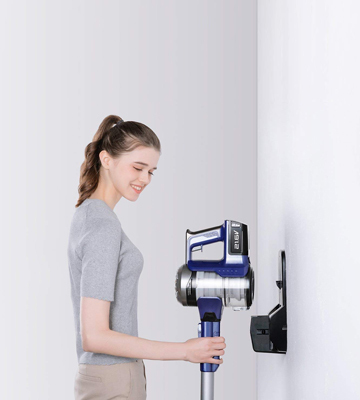 When choosing a cordless vacuum cleaner, the main checking points for most customers are the unit design for the convenience of use and operation, the battery capacity, and, of course, the suction power for efficient cleaning. And this is where the Shark cordless vacuum really excels. 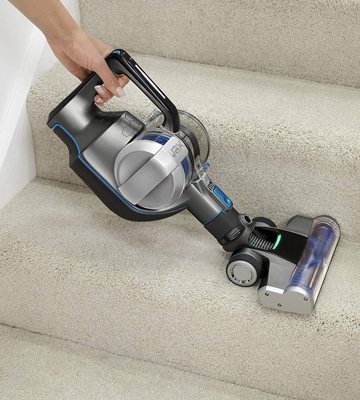 Though Shark's IF200UK vacuum is relatively heavier than other models in its class, its weight doesn’t compromise the user comfort and convenience of use thanks to its well-thought construction. An ergonomic handle on the top provides a secure and firm grip and evenly distributes the weight preventing the wrist strain. Meanwhile, a long, foldable wand with a flexible hose allows adjusting an optimal brush recline to access hard-to-reach areas (such as under and behind the furniture) without a hassle. What really sets this model apart from competitors is a special brush roll with the DuoClean™ Technology. The tool consists of two rolls installed side by side that are working together to tackle and remove different kinds of household messes from all types of floors, be it parquet, floorboard, or carpets. 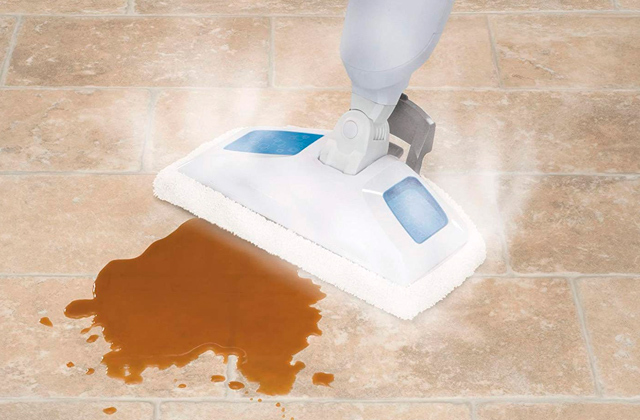 A second soft brush will ensure deep clean and let you easily move between different types of flooring without the need to stop and switch between attachment rolls. By removing small and large, light and stubborn messes at a single pass, the combined brush roll makes cleaning much more efficient and quicker. 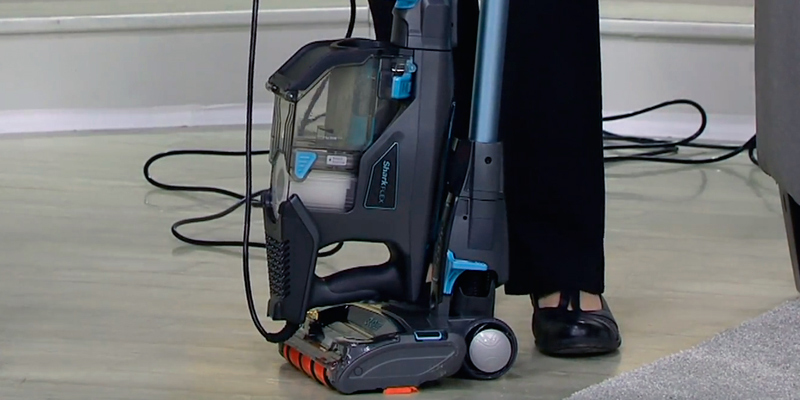 The Flexology technology in a combo with a dual brush roll will let you benefit from the unrivalled cleaning performance, while a number of attachments and a convertible construction enable using the vacuum as an upright or handheld unit, making the Shark suitable for all types of household cleanups. The Vax Blade TBT3V1B1 is the UK’s best-selling cordless vacuum during 2016-2017 for a good reason. It's one of the most powerful cordless stick vacuums on the market. 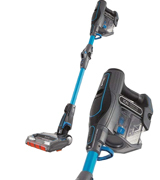 It boats a capacious 32V Lithium battery and the innovative Vax Direct Helix Technology to guarantee the same high performance as corded vacuums. 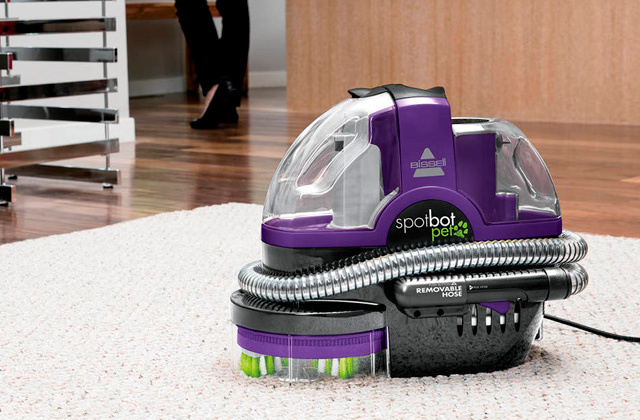 Once the Lithium battery is charged, it delivers an incredible 45-minute runtime with the stable suction power throughout the entire cleaning. This means that you can vacuum either one-storey or multistorey house even without breaks for re-charging. Thanks to the Vax Smart Control dial, you'll always be aware of how much power is left. As for the Vax Direct Helix Technology, it provides three-dimensional support inside the compact dust bin, ensuring a direct airflow path from the floor right to the cyclone for the maximum efficiency. The cleaner offers you 3 cleaning modes for any surfaces, plus an additional Boost Mode for picking up pet hair and other stubborn dirt. 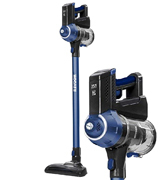 Speaking of design features, we can say that the vac itself is fairly well-balanced and lightweight. 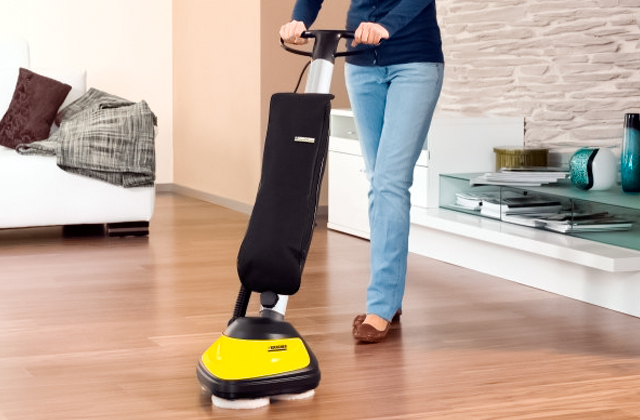 Owing to the durable steering system, the vac effortlessly glides across different floors and easily navigates around furniture. 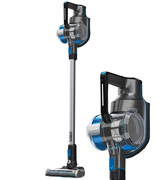 The Vax patented floorhead delivers the optimal pick-up performance on every surface. 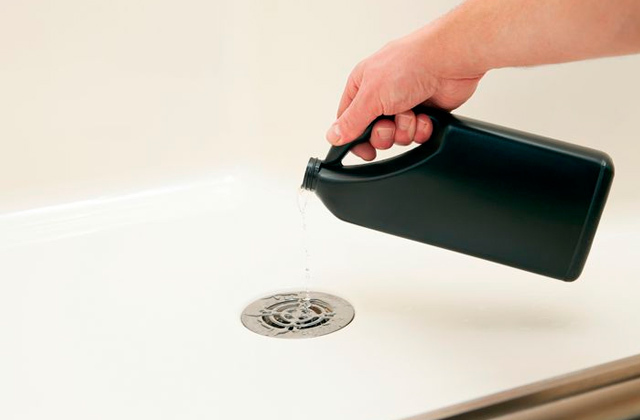 If needed, you can attach it directly onto the handheld tool for removing spills and messes from stairs, furniture, or car interior. So, if you're looking for a versatile model with supreme performance, the Vax Blade Cordless stick is a solid fit. The Freedom Lite FD22L Hoover is extremely light not only on your budget but also in your hands. At just 2.2 kg, it's one of the lightest models on the market. And no wonder it's one of the most comfortable and manoeuvrable cordless sweepers as well. Yet, when creating this ultra-lightweight cordless cleaner, the engineers have done their best so as not to sacrifice its power capabilities. They have equipped the vac with a capacious Lithium battery that guarantees strong performance without fading over time. 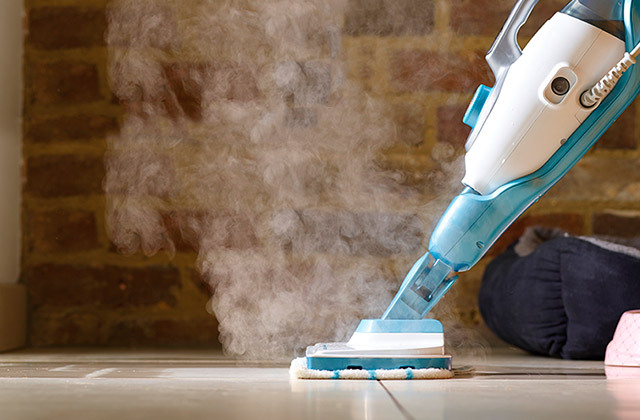 On the shorter side, the vacuum can run only up to 20 minutes continuously. 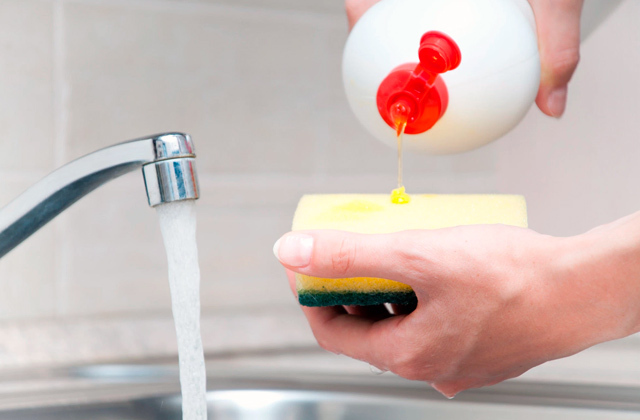 However, many users say that this runtime is quite enough to clean a flat or a small house from top to bottom. 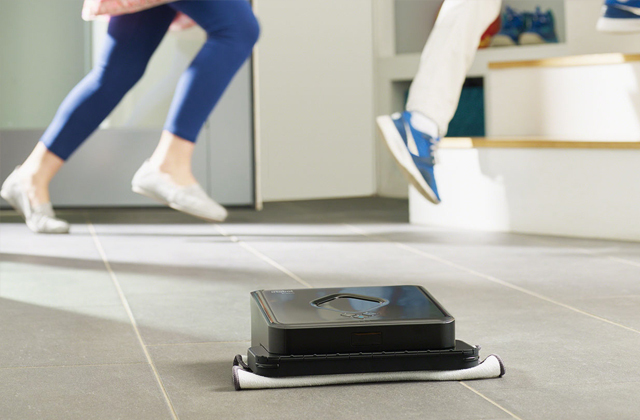 For large vacuuming tasks, you can press a trigger and activate the Continuous power mode. The Freedom Lite FD22L will operate non-stop until the trigger is pressed again, which will prevent your fingers from fatigue. The vacuum is ergonomically designed with a low-profile floor brush that goes under furniture with ease. If you want to clean inside your car or boat, you can detach a wand and use the cleaner as a handheld model. Effortless to use inside and outside your house, the Freedom Lite FD22L cordless stick vacuum cleaner is an excellent option for quick cleanups. The only thing to note is that it comes without a wall mount. However, agree that for such a low price, it's a minor issue. 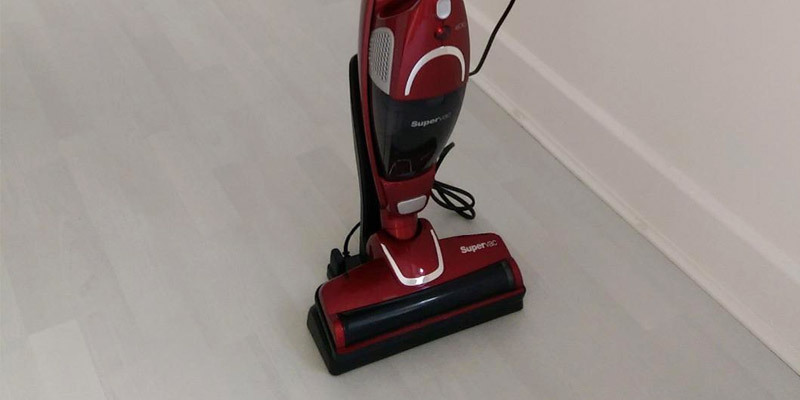 Morphy Richards is a reputable company that produces various household appliances that make our life easier, and their 2-in-1 Supervac Cordless Vacuum Cleaner is a bright example. 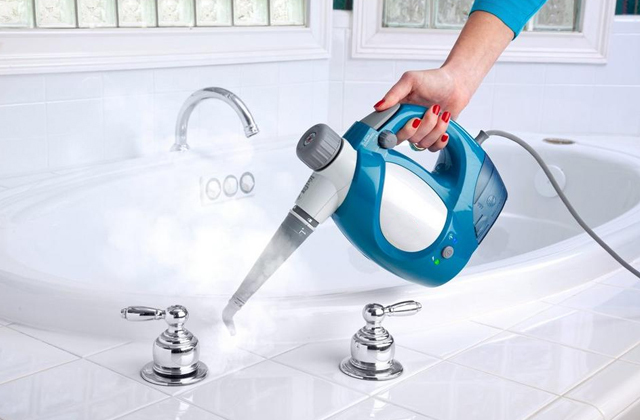 It runs on an 18V battery that gives you a good cleaning performance for up to 30 minutes and charges very quickly in comparison to other vacs of its type. It has two modes: high and low. And when you vacuum on the low power mode, the stick will run quieter and the battery will discharge a bit slowlier. 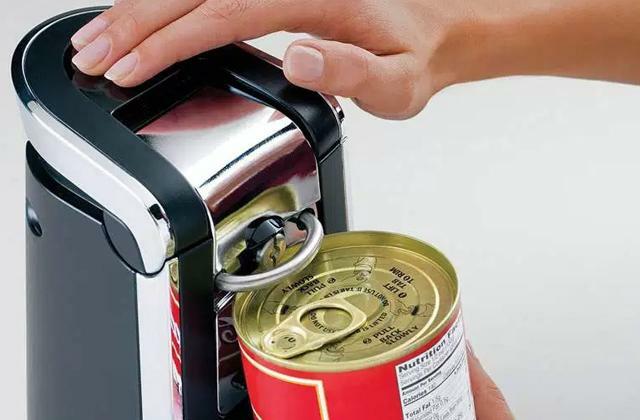 The dust container, though, might seem very small since its capacity is only 0.3 L. However, this volume is more than enough to clean an average-sized flat. Besides, the container is super easy to clean - it will take you less than a minute to empty the full dust cup. We can't leave without attention the design of this upright stick vacuum. It's quite compact and manoeuvrable. It has two filters - a foam one eliminating small particles, and a pleated filter. The combination of these two filters allows for preserving the suction power for a long time. The Morphy Richards 732005 cordless sweeper comes with quite a useful set of accessories that includes a crevice tool, as well as dusting and upholstery brushes so that you can clean messes just anywhere. All in all, if you need a compact and at the same time efficient cordless vacuum cleaner, we recommend you to get the Morphy Richards vac. Boasting over 100 years of successful experience, the Eureka company now comes up with a powerful 2-in-1 stick vacuum for daily cleanups. 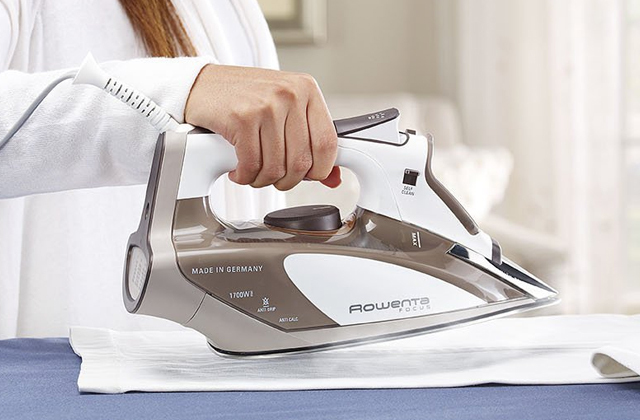 The NEC122A model is powered by a 21.6V Lithium-ion battery that ensures up to 30 minutes of cleaning time. Plus, the stick has LED battery indicator lights to let you know when it's time for a charge. We would like to point out that the vac is supplied with a wall mount bracket for neat storage. You are free to install it near any accessible outlet, out of your way. Another highlight is the large Plush Brush Nozzle that's extremely gentle on any surface, including laminate floors and low-pile carpets. It easily picks up the finest dirt particles. 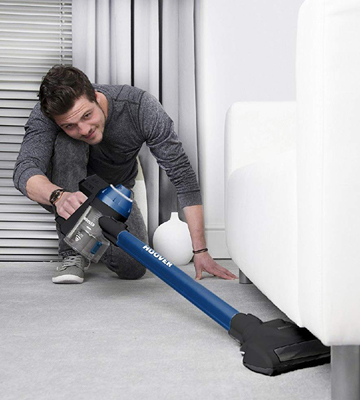 And thanks to the optional crevice and 2-in-1 upholstery attachments, this stick vacuum can clean everything above your floors. The crevice tool is good for all those nooks and crannies, whilst the upholstery tool does a decent job at furniture cleaning. 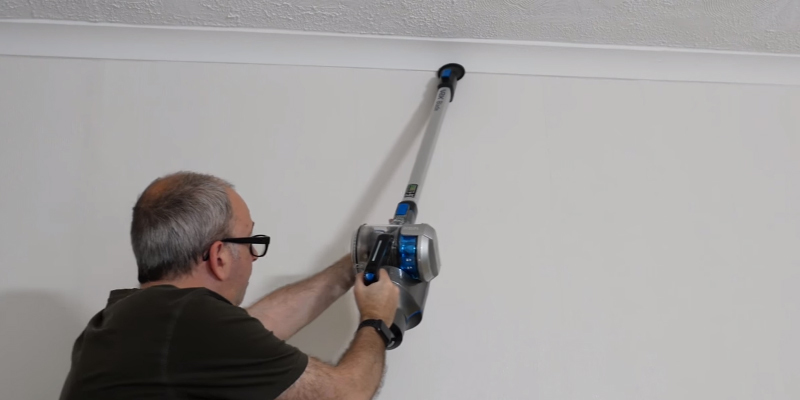 The vac also has an extension wand allowing you to clean ceilings, drapes, and other hard-to-reach places. Like other high-end stick cleaners, this one has a one-touch trigger for comfortable use. And a 2-way large dust cup further adds to the convenience of use - you can either press a release button to empty the bin or twist it off by hands. No mess guaranteed. An effective and easy-to-use, this electric stick is a good option for daily cleanups. 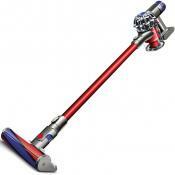 What Is a Cordless Stick Vacuum Cleaner and an Electric Broom? A cordless stick vacuum is essentially a small, lower powered vacuum cleaner that is meant for cleaning thin carpets and floors, along with other items such as stairs, upholstery, and furniture. They operate in the same manner as a standard vacuum cleaner, except they have a number of differences. First of all, they tend to be smaller and much more manoeuvrable than a standard vacuum cleaner. Also, many of them now tend to be cordless, operating on battery power instead of through a power outlet. 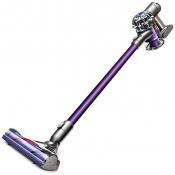 This tends to make them less powerful than a standard vacuum, but the other trade-offs make them much more versatile. An electric broom is essentially the same thing as a cordless stick vacuum, the main difference being that they are meant primarily for hard surfaces such as wooden or tiled floors instead of carpets. However, in recent years, the lines between the two different appliances have blurred, and many of them are now marketed as being both cordless stick vacuums and electric brooms. They all operate in the same way, relying on air suction to remove dirt and dust from a surface, and containing an internal dirt or dust collector, which can be removed or emptied once it becomes full. Both items serve the almost exact same purpose and are a welcome addition in any home. If you are looking for a good accessory for cleaning your windows, then take a look at our reviews for the best squeegees.